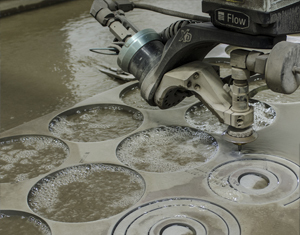 The power of water jet is amazing. 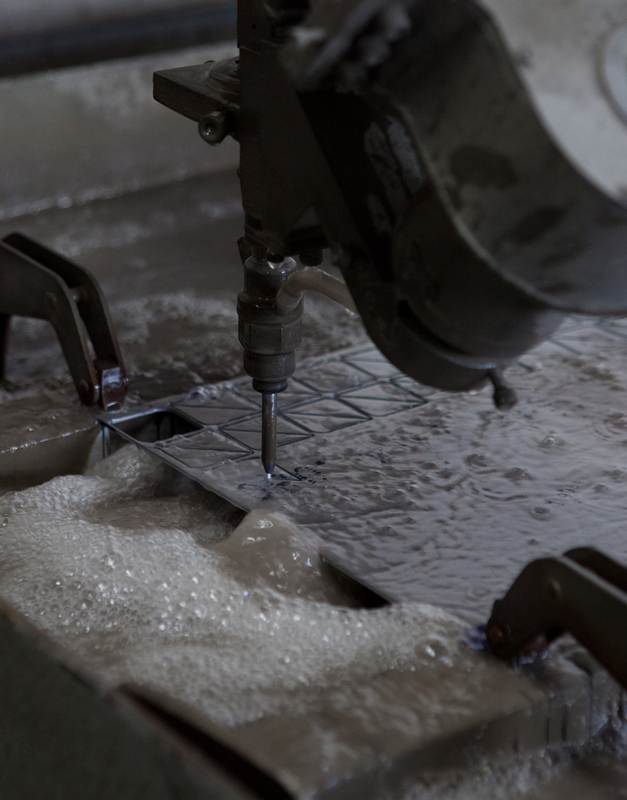 ACE runs two, each with enough cold cutting force to slice through inch-thick granite. 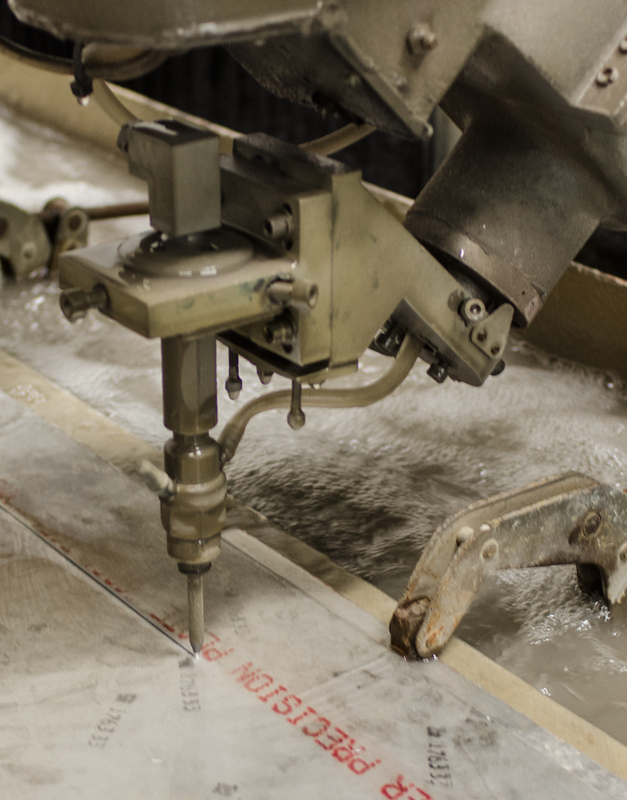 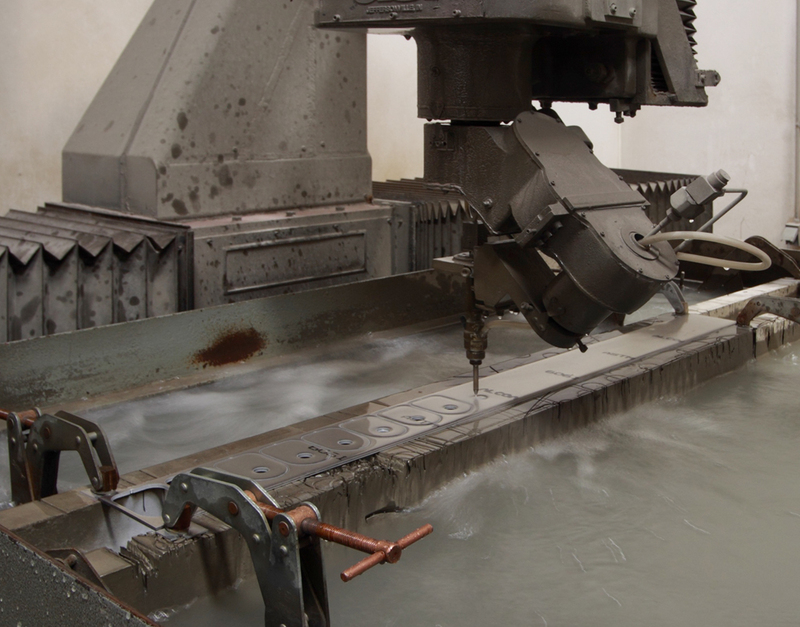 Water jet is used when the material cannot be subjected to heat. 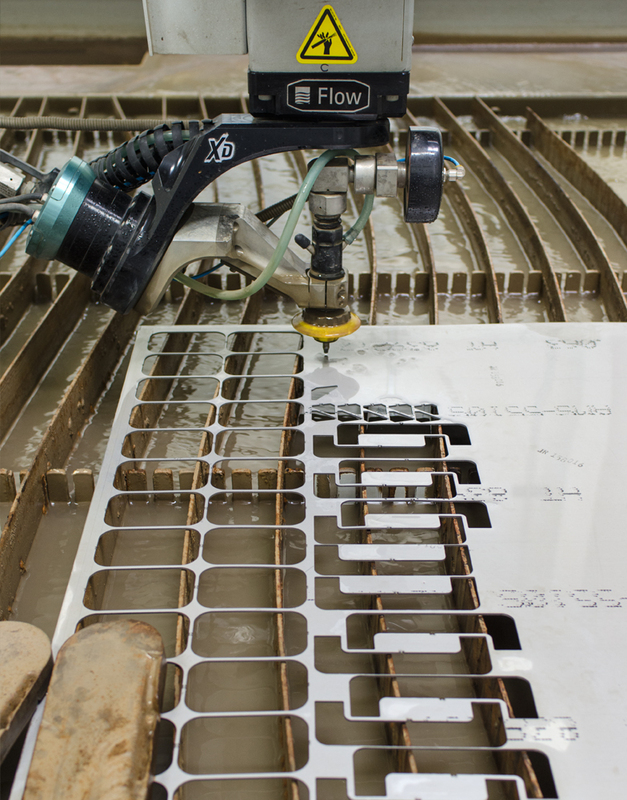 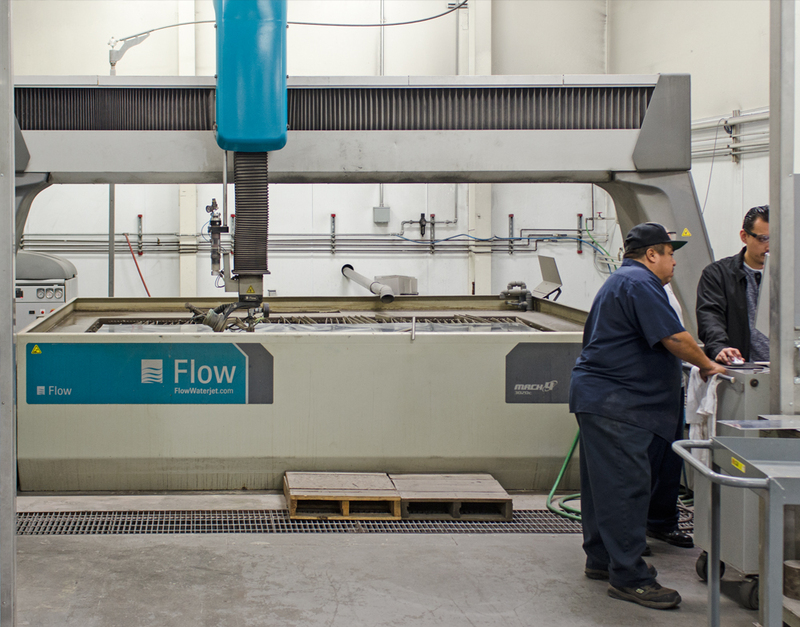 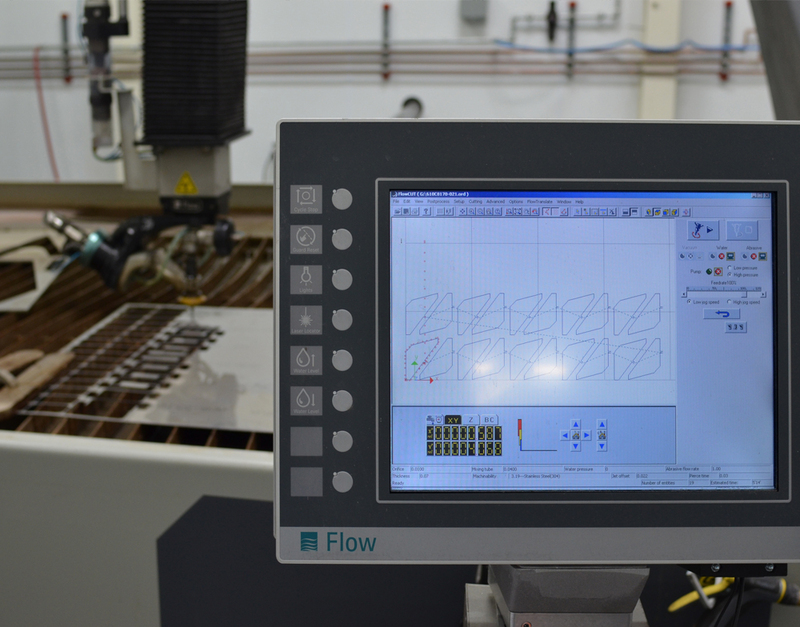 Ours feature massive beds, 15′ square, enabling large sheets of material to be cut with computer-driven accuracy.